Moving, holidays and life just got in the way the past few months. But now I finally have a computer desk/colouring station built yesterday I am back! I have been colouring a lot of images in any spare moments while all my crafty bits were packed away so I have over 20 images ready to go for cards. I have made so many cards over the past few months I didn't know where to start! 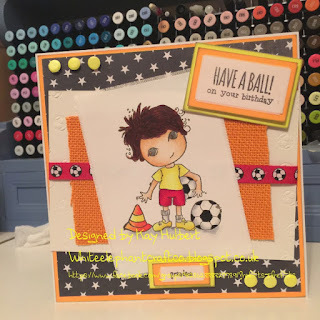 So decided against cards and gone for my Dreamees DT call images instead!!! 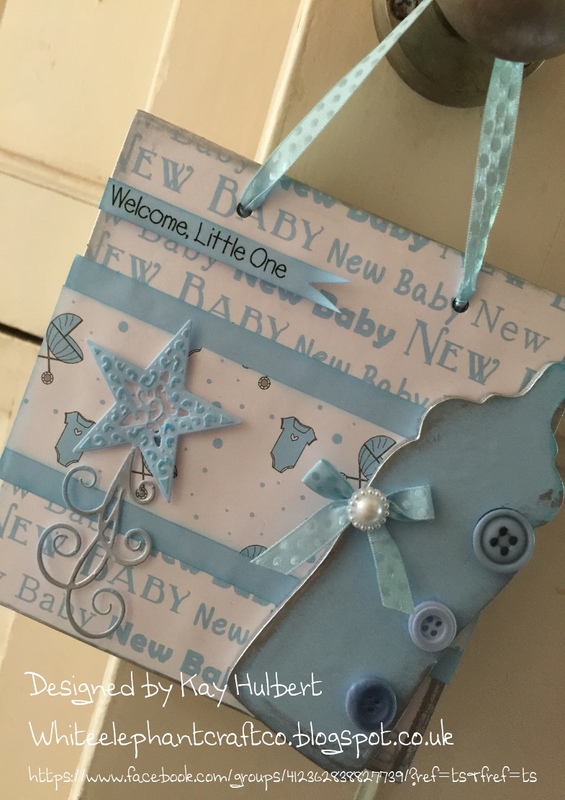 My first set of Dreamees MDF was a general one and it had a baby grow and a bottle so I made these two hangers with a mini scrapbook MDF page which I had in my stash. I used papers from the CD and some welcome rub ons I have had in my stash for years but hardly used! The pearls are from Hobbycraft (managed to get a whole reel of them for £2.99!) and the lace is from The Works. I cut the banners by hand and the star is a christmas Spellbinders die! The buttons are from my jar full of them and the blue and pink silk ribbons were from QVC years ago when they used to still show crafting! The large pearl on the boy hanger is from ebay. 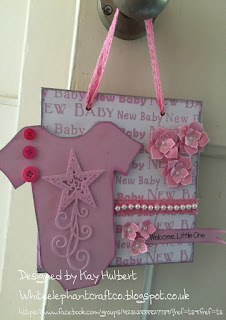 The flowers on the girl hanger were made with the Dreamees stamps with perfect medium and white detail embossing powder. I just added some single pearls again from Hobbycraft to the centres. 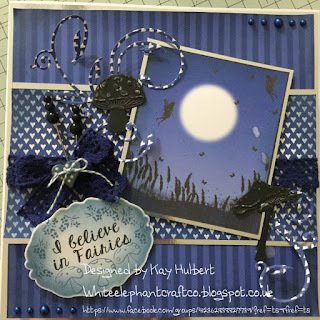 Next was a card, I loved the fairy door set but had not finished the door (I am still looking for the perfect handle!) so made a card using the stamps and papers from the fairy CD. I had recently purchased a mushroom die on a visit to Crafts U Love in Surrey, they have a whole room of die's, it's my heaven! So I added them with my favorite product ever, Pebeo Guilding wax. The lace ribbon is from The Works again and the hat pins are from ebay. The swirl die is Hot Off The Press and the stamped image is onto a Spellbinders die. All layered onto silver Mirri with some blue pearls from my stash. 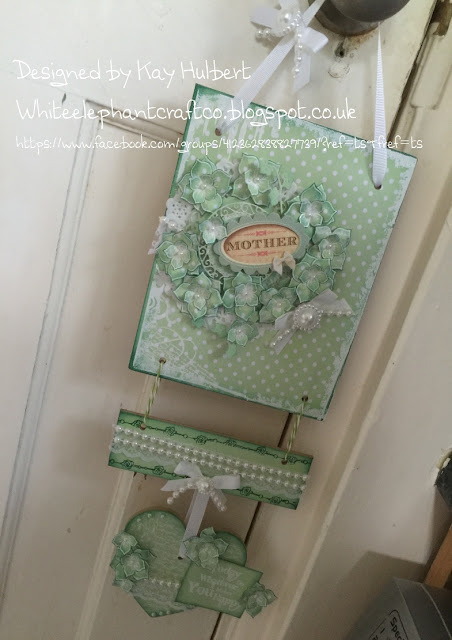 And lastly my mum wanted something for a bare wall in her new kitchen which is pale green. I think this matched perfectly, although I did have to keep making flowers as I kept layering them up and running out. Again I used perfect medium and detail white embossing powder. She loved it and it's now hanging up! I did use some Crafters Companion stamps to distress the background again using the detail white embossing powder with the perfect medium. Then I layered a paper doily, a spellbinders circle die and some tattered lace branches before adding all the flowers on top. More pearls and ribbon from my stash completed it all and then I used Tim Holtz twine in green to string it together. The best thing about doing this DT call was embossing again. I loved making all those flowers even if it got annoying that I kept running out! It was nice to go back to it again after so many years! I haven't heard anything back yet, but no news is good news! 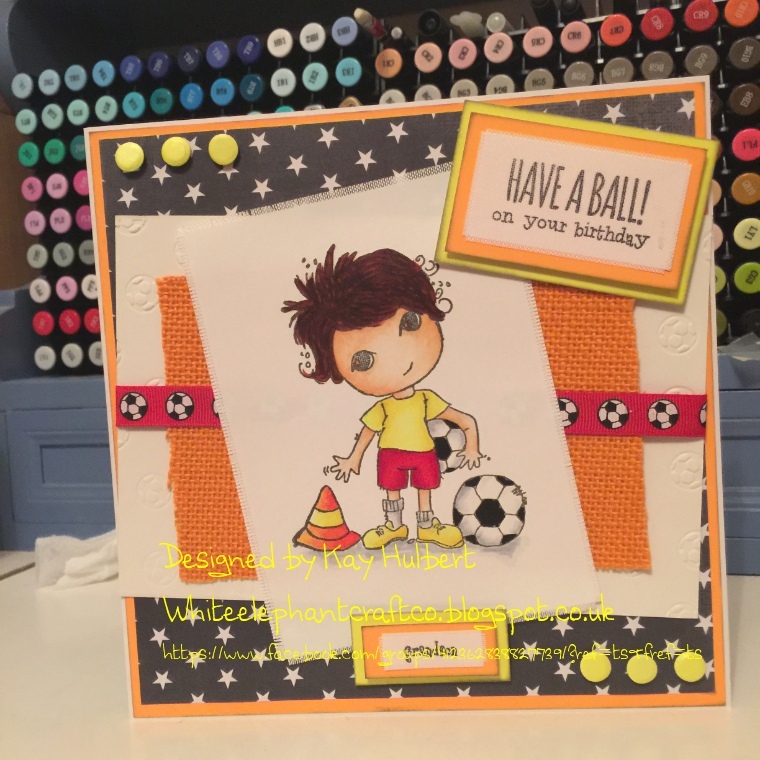 I will share some of my coloured images once I have made the cards but here is a sneak peak! This was for my now 6 year old son from my father in law. Loved the colours as really different from what I usually use. Apologies for the poor lighting, this is now sorted now I have a work space at last, and starting to live the crafty dream!